Before you jump into scanning, cataloging, and organizing-- this short, step-by-step plan will help ensure your inventory project delivers valuable and accurate data. Conducting an inventory just for the sake of "doing something because we have to" will likely produce much value. It is important to have an explicit, clearly-stated purpose for the inventory. Always begin with the end in mind. Articulating your end goals will ensure that you define the data you need to capture upfront, the data format you need back, and the actual inventory process itself. Good planning at the start will definitely save you time, money, and headaches on the backend. When it comes to choosing a collection tool and connected software, flexibility is key. Choose a platform that is configurable and facilitates easy data transfer to your software of choice for maximum efficiency and minimum headaches. Depending on the purpose of your inventory, the place where the data is stored may be anywhere from the company's financial system of choice, a proprietary inventory management system, or an operations support system. It is up to your organization to make a judgment on which systems should house the inventory data and also which ones must be updated. Data collection can be troublesome without a process in place. Attributes can be overlooked, or questions you want to answer with data can arise at the end of an inventory after it is too late or too costly to make data capture changes. In order for the information collected via inventory to be useful, data must be observed and recorded in a consistent way in terms of nomenclature, format and method. Define a clear inventory process, or the quality of data you retrieve may be less than useful after all the hard work. 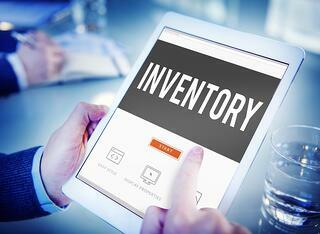 Asset inventory is a complicated task. Having these five steps in place will greatly increase the chance that your inventory will run smoothly and deliver actionable results. Learn how to conduct a successful utility pole inventory or inspection from the start with our tip sheet: “5 Tips for a Successful Pole Inventory or Inspection”.